So I want to help you choose to enjoy what God has given you. Learn how to enjoy what you've got - and stress less! 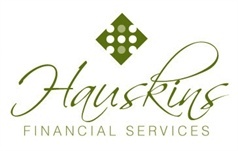 Mitchell Hauskins is a Investment advisor Representative and a Registered Representative who specializes in assisting people just like you in designing a financial plan for your preferred lifestyle. Take a look at the products and services our firm provides and contact us for a complimentary no-obligation consultation today! It is my belief Investing is an activity that all of us, as stewards of God's resources, are unavoidably called to. Although no investment strategy is void of negative returns, my opinion is once you understand that investing involves only taking prudent risks and seeking reasonable returns, it takes a lot of the magic and mystery out of it. Financial success is not driven by the performance of investments,but by the behavior of investors.